Monk Paper | Pebble Infotech Pvt. 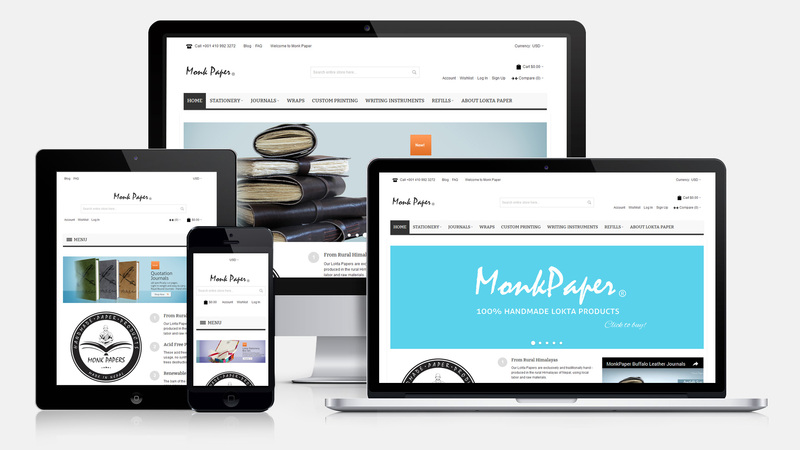 Ltd.
For Monk Paper, a retail business based in Columbia, Maryland; all of the handmade paper products are imported from Nepal, a culturally and naturally rich country in South Asia. Monk Paper’s initiative to expose this unique and one of its kind creation worldwide has been well received in a short span of time. We have experienced our customers sharing the recognition that we hold for these products and the charisma has been growing with our unconstrained offerings. A remarkable achievement for Monk Paper is the success of our undertaking to preserve and promote the centuries old art of papermaking by hand in Nepal. We are proud of the reinforcement of local employment opportunities for men and women in the rural Himalayas and also of the considerable financial upliftment of the potential artists.